November’s Gobbler Gaming Giveaway was a heck of a 4-week contest and nothing short of a huge success. Any chance we can top it this month? That is exactly what we are about to attempt to do as we have teamed up with NVIDIA, Zen Pinball THD and the Tegra Zone once again to hand out Tegra 2 powered tablets to the beautiful community here at Droid Life. How many tablets? How does 10 (ten) sound? Starting today and finishing up next Friday, we will hand out a brand new Tegra 2 powered tablet each day (excluding the weekend) to a lucky DL reader. As you have heard us mention time and time again, NVIDIA and the Tegra Zone are doing wonders for Android gaming. The Tegra 2 chip was built with mobile gaming in mind, especially on big screens, which is why tablets powered by their processor are so amazing. With the Tegra Zone, you get all of their Tegra-optimized games in one place. One of those is Zen Pinball THD who just so happens to be one of the sponsors of this post. They offer one of the more realistic, yet beautifully designed pinball games you will find anywhere. Did we mention that it’s free? 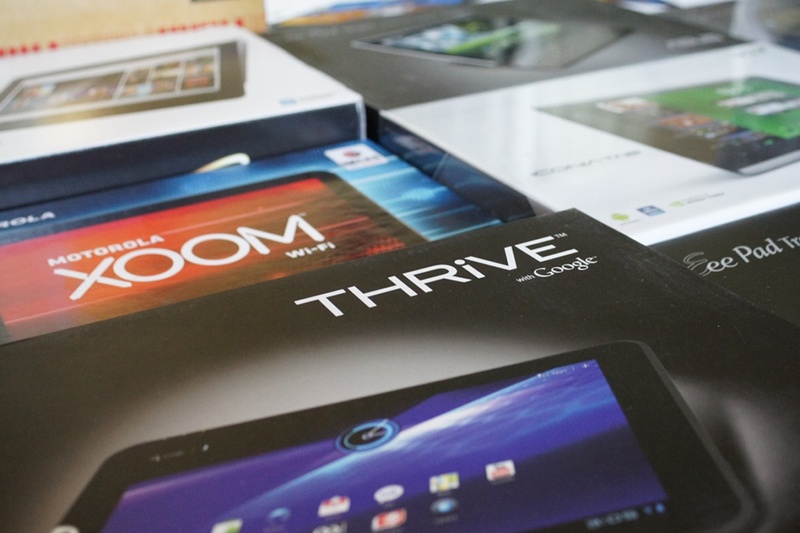 There are 10 Tegra 2 powered tablets to be given away over the next two weeks. Each day will be different, but the list looks like this: Toshiba Thrive, Motorola XOOM, Sony Tablet S, Lenovo ThinkPad, Galaxy Tab 10.1, Galaxy Tab 8.9, Acer Iconia Tab, Lenovo Tablet K1, Asus Eee Pad Slider, and an Asus Transformer bundled with a laptop dock. Prizes will be shipped at the end of each week to winners. A new contest will be posted each day with specific instructions on how you can enter. By the end of that day, a winner will be chosen and announced. Everyone ready? The first contest will go up within the next hour.